FishSource is a publicly available online resource about the status of fisheries, fish stocks, and aquaculture. FishSource compiles and summarizes publicly available scientific and technical information and presents it in an easily interpretable form. FishSource was created in 2007 by Sustainable Fisheries Partnership to provide major seafood buyers with up-to-date, impartial, and actionable information on the sustainability of fisheries and the improvements they need to make to become more sustainable. In 2018, information on aquaculture sources was added to the database to provide FishSource users with a more robust tool that covers all types of seafood production. Although the primary intended audience of FishSource is seafood businesses, other audiences - such as academics, researchers, and non-profit organizations - have also become frequent and welcomed users of FishSource. The information on FishSource is primarily developed and updated by a small team of in-house analysts, but their capacity is recognizably insufficient to maintain complete coverage of all global fisheries. As such, profiles may be incomplete or information may be out of date. The seafood industry and external contributors are invited to help fill any gaps that they consider priorities through our External Contributors Program. Lastly, we always welcome comments on any of our profiles and encourage an open debate on the sources of information used and our interpretation of the data. Our objective is to use only publicly available sources and fully credit those sources, effectively acting as an inventory of information sources on fisheries and aquaculture. Pedro Sousa is SFP's Chief Scientist. He received his PhD in Population Biology from the University of Lisbon, Portugal, his MSc in Mathematics Applied to Biological Sciences from the Technical University of Lisbon, and his BSc in Marine Biology and Fisheries from The University of Algarve, Portugal. Before joining SFP in 2008, Pedro worked for more than 15 years as scientific consultant and researcher for statistical analysis and fisheries on marine and fisheries projects at the University of Algarve, and at the Portuguese Fisheries Institute (IPIMAR), in collaboration with other academic institutions. He lectured on Statistics, Data Analysis and Modeling at a private university in the Algarve, Portugal, for 11 years. 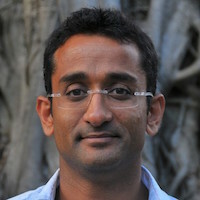 Merul Patel is Chief Information Officer, responsible for the technical systems related to FishSource and SFP operations. Originally a solid state physicist, with a PhD from Cambridge University, and the author of several papers and patents, he has held a number of positions in publishing and technology companies over the last 25 years culminating in CTO and CEO positions in the mobile payments space. Jack Whalen is a social scientist with extensive experience directing international projects. Jack has been with SFP for four years, working across all of SFP’s divisions, and presently is a program director in the Systems Division, where the scientific work related to FishSource and Sustainable Seafood Metrics is concentrated. He is also a professor in the Department of Design at Aalto University in Helsinki. Prior to working for SFP, Jack was a Principal Scientist at Xerox’s Palo Alto Research Center (PARC) and Associate Professor of Sociology and Department Head at the University of Oregon. Jack is based in San Francisco, CA and Helsinki, Finland. Susana Segurado is the Director of FishSource. She completed a five-year degree programme in Marine Biology and Fisheries Science at the University of Algarve, Portugal, conducting her final thesis at Imperial College, London, in fisheries modeling. She worked in Environmental Health for two years, before joining SFP in 2008. Susana is based in Lisbon, Portugal. 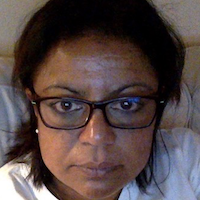 Indrani Lutchman joined SFP as Program Director for FIP evaluations. She is a marine biologist and fisheries scientist with extensive experience in designing, leading, and delivering successful projects on marine and fisheries issues in Europe, Caribbean, Antarctica, and UK Overseas Territories including Bermuda, Falklands Islands, and Gibraltar. She has a well-established reputation of working with scientists and policy makers in these countries and regions and at high level negotiations of multi-lateral agreements at the UN, FAO, and Regional Fisheries Management Organisations (RFMOs). Her expertise covers diverse aspects of fisheries and maritime policies and includes both desk-based research as well as the provision of strategic and political advice. Alexia Morgan, a member of the Systems Division, is the science lead on tuna and other large pelagic species. 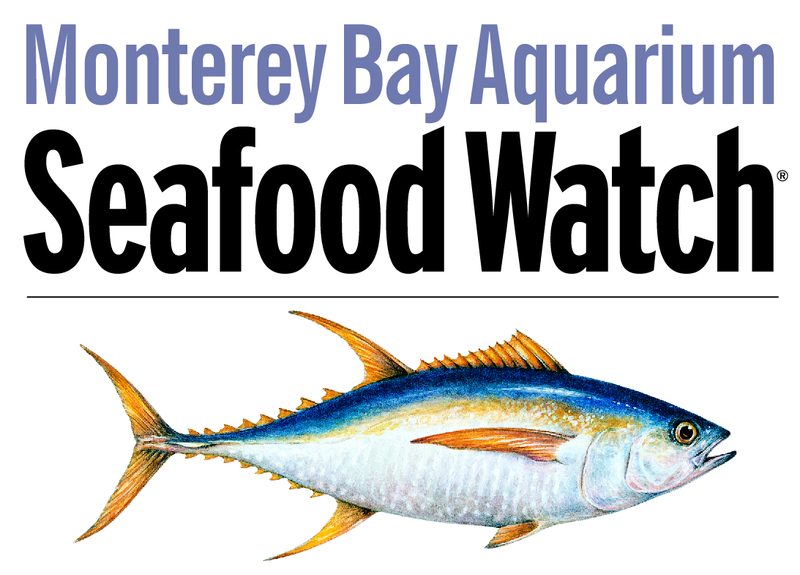 In addition, Alexia is a working on a joint contract between the Sustainable Fisheries Partnership and the Monterey Bay Aquarium assessing tuna and large pelagic’s fisheries through their Seafood Watch program. Alexia is also an Associate Research Faculty with the University of New England, working on the impact of spiny dogfish and seals on the Gulf of Maine ecosystem. Alexia’s other interests include elasmobranch population dynamics, population and ecological risk assessments, bycatch mitigation techniques and international fisheries management. Alexia received her Ph.D. from the University of Florida, MS from Nova Southeastern University and BA from Lake Forest College. Alexia is based in Belfast, ME. Pedro Veiga heads the Analysis and Scientific Reports Program for SFP's Science Research and Data Division, and also serves on the FishSource research and content development team. Pedro is also part of the research team of the Coastal Fisheries research Group from the University of Algarve since 2001. He is a marine biologist with more than ten years of experience working mainly on coastal and estuarine fish population dynamics, seabed habitat mapping, recreational and small-scale fisheries, and fisheries management. 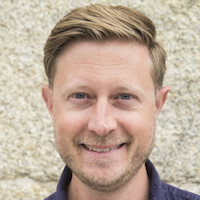 Since 2006, his work has been mainly focused on the biological impact and human dimensions of marine small-scale and recreational fishing in southern Portugal. Pedro has a Ph.D. in Fisheries Sciences and Technology from the University of Algarve, Portugal. He is currently based in Faro, Portugal. 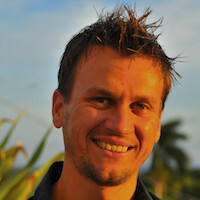 Anton Immink joined SFP as its first global Aquaculture Director in November 2012. After 12 years working for the consultancy Stirling Aquaculture, where he supported the development of both small- and large-scale farms across Africa and Asia, he brings a wealth of experience of aquaculture production practices from across the world. In addition to experience managing UK Department for International Development projects in Bangladesh, India, Thailand, and Vietnam, he was involved in the early expansion of aquaculture in Uganda, Rwanda, Malawi, and Sierra Leone. Anton also has 3 years’ experience with the Food and Agriculture Organisation, where he worked with governments on the collection and management of aquaculture production statistics. Anton’s original thesis, assessing the social and environmental impacts of grouper cage culture in the mangroves of Thailand, was an early indicator of his desire to foster greater zonal management responsibility amongst all stakeholders (a concept echoed in the SFP AIP model). Paul Bulcock works with SFP as an Aquaculture Analyst. He holds an MSc in Aquaculture from the University of Stirling, UK, and a BSc in Marine and Fisheries Zoology from the University of Aberdeen, UK. 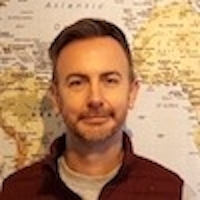 Paul has extensive program support and aquaculture research experience (particularly in SE Asia), having worked for the Network of Aquaculture Centers in Asia-Pacific (NACA) and DFID’s Aquaculture and Fish Genetics Research Programme (AFGRP) at the Institute of Aquaculture, Stirling UK. Marina Mendes serves on the FishSource research and content development team. Marina has participated since 2006 in projects to promote sustainable use and management of marine fisheries resources, conservation of marine habitats and seabirds, both on scientific research and in a Portuguese NGO. She holds a Masters of Marine Biology, Ecology and Marine Conservation (University of Algarve) and an Advanced Studies Diploma of Territory, Environment and Sustainable Development (New University of Lisbon). Marina is based in the SW of Portugal. 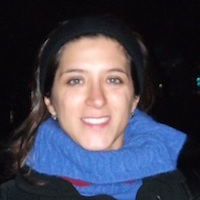 Mariana Sánchez De Bock serves on the FishSource research and content development team. Mariana has a BSc in Biology from the University of Buenos Aires and an MSc in Ecology with focus on conservation and management of water resources from the Federal Rural University of Pernambuco. She has been involved in scientific research in coastal marine ecosystems and aquaculture since 2004, and has worked for seven years in fisheries assessments under the Marine Stewardship Council (MSC) certification program for sustainable fisheries in South America. In her role with SFP, she helps to provide up-to-date, impartial, actionable information on the status of fisheries and fish stock sustainability. She is based in Recife, northeast Brazil. 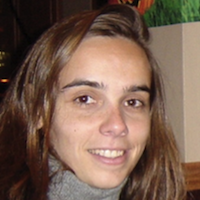 Patrícia Amorim serves on the FishSource research and content development team and manages the FishSource MSC section. Patrícia has a BSc in Marine Biology and Fisheries from the University of Algarve and an MSc in Geography Information Systems from the Technical University of Lisbon. She worked on Northwest Africa fisheries and ecosystem modelling at the Portuguese Fisheries Institute (IPIMAR) and, in recent years, on habitat predictive models of pelagic species (tunas and seabirds) and seabed mapping at the University of Azores. She is based in Horta, Açores, Portugal. Jenna Stoner is Aquaculture Analyst at SFP. 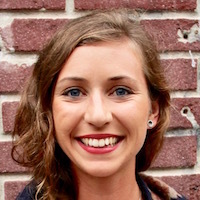 Jenna has been producing research and analysis of aquaculture production and management systems for the past six years for Monterey Bay Aquarium, SeaChoice, and the Global Aquaculture Performance Index. As Sustainable Seafood Program Manager at Living Oceans, Jenna has also developed and implemented market-based initiatives toward sustainable production and sourcing. Jenna is based in Vancouver, Canada. The FishSource Team is a very productive group, but we can't maintain updated content for all fisheries all of the time. The partners listed below face the same challenge. Working together, we are finding ways to use our collective resources more efficiently to improve each others' systems. This website contains the list of publications by Sustainable Fisheries Partnership Foundation (SFP) and Fishsource, as well as selected publications from SFP staff. Villasante, S., Pierce, G.J., Pita, C., Guimeráns, C. P., Rodrigues, J.G., Antelo, M., Rocha, J. M., Cutrín, J.G., hastie, L.C., veiga, P., Sumalia, R. and Coll, M. 2016. Fishers' perceptions about the EU discards policy and its economic impact on small-scale fisheries in Galicia (North West Spain). Ecological Economics 130:130-138. Veiga, P., Pita, C., Rangel, M., Gonçalves, J. M. S., Campos, A., Fernandes, P. G., Sala, A., et al. 2016. The EU landing obligation and European small-scale fisheries: What are the odds for success? Marine Policy 64: 64-71. Portley, N. and Geiger H.J. 2014. Stock management units and limit reference points in salmon fisheries: Best practice review and recommendations to the MSC. Marine Stewardship Council Science Series 2: 89 ñ 115. Assis, J., GonÁalves, J.M.S., Veiga, P. and Pita, C. Spearfishing profiles, habits and perceptions towards management measures: a spatial analysis. In Review. Ocean and Coastal Management. Ferter, K., Weltersbach, M.S., Strehlow, H.V., V¯lstad, J.H., AlÛs, J., Arlinghaus, R., Armstrong, M., Dorow, M., Graaf, M.d., Hammen, T.v.d., Hyder, K., Levrel, H., Paulrud, A., Radtke, K., Rocklin, D., Sparrevohn, C.R. and Veiga, P. 2013. Unexpectedly high catch-and-release rates in European marine recreational fisheries: implications for science and management. ICES Journal of Marine Science. DOI: 10.1093/icesjms/fst104. Gilman, E., Suuronen, P., Hall, M. and Kennelly, S. 2013. Causes and methods to estimate cryptic sources of fishing mortality. Journal of Fish Biology. DOI:10.1111/jfb.12148. Gilman, E., Passfield, K. and Nakamura, K. 2013. Performance of regional fisheries management organizations: ecosystem-based governance of bycatch and discards. Fish and Fisheries DOI: 10.1111/faf.12021. Guan, W., Cao, J., Chen, Y. and Cieri, M. Biases caused by recruitment penalty term in maximum-likelihood based age-structured stock assessment. Submitted. ICES Journal of Marine Science. Guan, W., Cao, J., Chen, Y. and Cieri, M.A simulation study to evaluate impacts of spatial structure of Atlantic herring fishery on retrospective errors in stock assessment. In Press. Canadian Journal of Fishery and Aquatic Sciences. Sulikowski, J.A., Prohaska, B.K., Carlson, A.E., Cicia, A.M., Brown, C.T. and Morgan, A.C. 2013. Observations of neonate spiny dogfish, Squalus acanthias, in southern New England: a first account of a potential pupping ground in the Northwestern Atlantic. Fisheries Research 137:59-62. Veiga, P., Pita, C., Leite, L., Ribeiro, J., GonÁalves, J.M.S. and Erzini, K. 2013. From a traditionally open access fishery to modern restrictions: Portuguese anglersí perceptions about newly implemented recreational fishing regulations. Marine Policy 40: 53-63. Amorim P. and F. Tempera. 2012. A review of Azores shelf biotopes. Revista de InvestigaciÛn Marina 19(2): 34-35. Carlson, J.K., Hale, L.F., Morgan, A. and Burgess, G. 2012. Relative abundance and size of coastal sharks from the northwest Atlantic Ocean derived from commercial shark longline catch and effort data. Journal of Fish Biology 80:1749-1764. Galparsoro I., D.W. Connor, A. Borja, A. Aish, P. Amorim, et al., 2012. Using EUNIS habitat classification for benthic mapping in European seas: Present concerns and future needs. Marine Pollution Bulletin 64(12):2630-2638. Gilman, E., Chaloupka, M., Read, A., Dalzell, P., Holetschek, J., Curtice, C. 2012. Hawaii longline tuna fishery temporal trends in standardized catch rates and length distributions and effects on pelagic and seamount ecosystems. Aquatic Conservation: Marine and Freshwater Ecosystems 22: 446-488. Gilman, E., Dunn, D., Read, A., Warner, R. and Hyrenbach, K. 2011. Designing criteria suites to identify discrete and networked sites of high value across manifestations of biodiversity. Biodiversity and Conservation 20(14): 3363-3383. Gilman, E. 2011. Bycatch governance and best practice mitigation technology in global tuna fisheries. Marine Policy 35: 590-609. Guerreiro, A.I., Veiga, P. and Erzini, K. 2011. Catches of the sport fishing competitions along the Algarve coast (Portugal): species, sizes, catch rates, and trends. Acta Ichthyologica Et Piscatoria 41: 165-169. Oliveira, F., Monteiro, P., Afonso, C., Veiga, P., Bentes, L., Calado, R. and GonÁalves, J.M.S. 2011. First record of Calcinus tubularis on the southern coast of Portugal (Crustacea: Decapoda: Anomura: Diogenidae). Marine Biodiversity Records 4: 1-4. Veiga, P., Xavier, J.C., Assis, C.A. and Erzini, K. 2011. Diet of the blue marlin, Makaira nigricans, off the south coast of Portugal. Marine Biology Research 7: 820-825. Veiga, P., GonÁalves, J.M.S. and Erzini, K. 2011. Short-term hooking mortality of three marine fish species (Sparidae) caught by recreational angling in the south Portugal. Fisheries Research 108: 58-64. Afonso, C.M.L., Bonomolo, G., Monteiro, P., Bentes, L., Oliveira, F., Veiga, P., Rangel, M.O., Sousa, I., Leite, L. and GonÁalves, J.M.S. 2010. First record of Ocinebrina nicolai (Mollusca: Gastropoda: Muricidae: Ocenebrinae) in north-eastern Atlantic waters. Marine Biodiversity Records 3: 1-4. Garrison, L.P, Link, J.S., Kilduff, D.P., Cieri, M.D., Muffley, B., Vaughan, D., Sharov, A., Mahmoudi, B. and Latour, R.J. 2010. An expansion of the MSVPA approach for quantifying predator-prey interactions in exploited fish communities. ICES Journal of Marine Science 67: 856ñ870. Gilman, E, Gearhart, J., Price, B., Eckert, S., Milliken, J., Wang, J., Swimmer, Y., Shiode, D., Abe, O., Peckham, S., Chaloupka, M., Hall, M., Mangel, J., Alfaro-Shigueto, J., Dalzell, P. and Ishizaki, A. 2010. Mitigating sea turtle bycatch in coastal passive net fisheries. Fish and Fisheries 11(1): 57-88. Morgan, A., Ford, T., Siceloff, L., Hale, L., Burgess, G., Allen, M., and Carlson, J. 2010. Temporal and spatial distribution of finfish bycatch in the U.S. Atlantic bottom longline shark fishery. Marine Fisheries Review 72:34-38. Pereira, H., Leadley, P., ProenÁa, V., Alkemade, R., Scharlemann, J., Fernandez-ManjarrÈs, J., Ara˙jo, M., Balvanera, P., Biggs, R., Cheung, W., Cooper, D., Gilman, E, Guenette, S., Hurtt, G., Huntington, H., Mace, G., Oberdorff, T., Revenga, C., Scholes, R, Sumaila, U. and Walpole, W. 2010. Scenarios for global biodiversity in the 21st century. Science 330 (6010): 1496-1501. Veiga, P., Ribeiro, J., GonÁalves, J.M.S. and Erzini, K. 2010. Quantifying recreational shore angling catch and harvest in the south of Portugal (Northeast Atlantic): implications for conservation and integrated fisheries management. Journal of Fish Biology 76: 2216-2237. Amorim P., Figueiredo, M., Machete, M., Morato, T., Martins, A. and Santos, R.S. 2009. Spatial variability of seabird distribution associated with environmental factors: a case study of marine Important Bird Areas in the Azores. ICES Journal of Marine Science 66: 29-40. Morgan, A. and Carlson, J.K. 2009. The capture depth, time and hooked survival rate for bottom longline caught coastal sharks. Fisheries Research 101:32-37. Morgan, A., Cooper, P., Curtis, T. and Burgess, G. 2009. An overview of the United States East Coast Bottom Longline Shark-Fishery, 1994-2003. Marine Fisheries Review 71:23-38. Stobberup K.A., Morato, T., Amorim, P. Erzini, K. 2009. Predicting Weight Composition of Fish Diets: Converting Frequency of Occurrence of Prey to Relative Weight Composition. The Open Fish Science Journal 2: 42-49. Veiga, P., Machado, D., Almeida, C., Bentes, L., Monteiro, P., Oliveira, F., Ruano, M., Erzini, K. and GonÁalves, J.M.S. 2009. Weightñlength relationships for 54 species of the Arade estuary, southern Portugal. Journal of Applied Ichthyology 25: 493-496. Zydelis, R., Wallace, B., Gilman, E. and Werner, T. 2009. Conservation of marine megafauna requires avoiding and minimizing fisheries bycatch. Conservation Biology 23(3): 608-616. Afonso-Dias, I., Amorim, P. and Silva, A. 2008. Problems with assigning the ovaries of sardine (Sardina pilchardus) to the appropriate macroscopic maturity stage. Marine Biodiversity Records 1, 2008e20. Azevedo, M., Duarte, R., Cardador, F., Sousa, P., FariÒa, C., Sampedro, P., Landa, J., and Costas, G. 2008. Application of dynamic factor analysis in the assessment of Iberian angler?sh stocks. ICES Journal of Marine Science 65: 1362ñ1369. Fry, B., Cieri, M., Hughes, J., Tobias, C., Deegan, L.A. and Peterson, B. 2008. Stable isotope monitoring of benthicñplanktonic coupling using salt marsh fish. Marine Ecology Progress Series 369: 193ñ204. Gilman, E., Ellison, J., Duke, N. and Field, C. 2008. Review: Threats to mangroves from climate change and adaptation options. Aquatic Botany 89: 237-250. Gilman, E., Kobayashi, D. and Chaloupka, M. 2008. Reducing seabird bycatch in the Hawaii longline tuna fishery. Endangered Species Research 5(2-3):309-323. Gilman, E., Clarke, S., Brothers, N., Alfaro-Shigueto, J., Mandelman, J., Mangel, J., Peterson, S., Piovano, S., Thomson, N., Dalzell, P., Donoso, M., Goren, M. and Werner, T. 2008. Shark interactions in pelagic longline fisheries. Marine Policy 32: 1-18. Gilman, E., Kobayashi, D., Swenarton, T., Brothers, N., Dalzell, P. and Kinan, I. 2007. Reducing sea turtle interactions in the Hawaii-based longline swordfish fishery. Biological Conservation 139: 19-28. Gilman, E., Ellison, J., Sauni Jr., I. and Tuaumu, S. 2007. Trends in surface elevations of American Samoa mangroves. Wetlands Ecology and Management 15(5): 391-404. Gilman, E. and Ellison, J. 2007. Efficacy of alternative low-cost approaches to mangrove restoration, American Samoa. Estuaries and Coasts 30(4): 641-651. Gilman, E., Ellison, J. and Coleman, R. 2007. Assessment of mangrove response to projected relative sea-level rise and recent historical reconstruction of shoreline position. Environmental Monitoring and Assessment 124(1-3): 105-130. Gilman E., Brothers, N. and Kobayashi, D. 2007. Comparison of the efficacy of three seabird bycatch avoidance methods in Hawaii pelagic longline fisheries. Fisheries Science 73(1): 208-210. Sousa, P., Lemos, R.T, Gomes, M.C. and Azevedo, M., 2007. Analysis of horse mackerel, blue whiting and hake catch data from Portuguese surveys (1989ñ1999) using an integrated GLM approach. Aquatic Living Resources 20(2): 105-116. Abecasis, D., Bentes, L., Ribeiro, J., Machado, D., Oliveira, F., Veiga, P., GonÁalves, J.M.S. and Erzini, K. 2006. 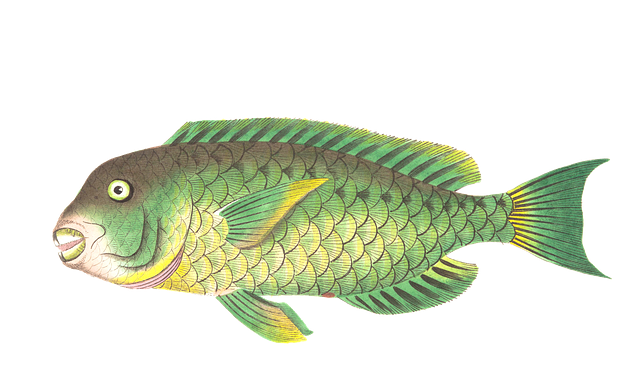 First record of the Mediterranean Parrotfish, Sparisoma cretense in Ria Formosa (South Portugal). Marine Biodiversity Records 1/ 2008, e27. Gilman, E., Ellison, J., Jungblat, V., VanLavieren, H., Adler, E., Wilson, L., Areki, F., Brighouse, G., Bungitak, J., Dus, E., Henry, M., Sauni Jr., I., Kilman, M., Matthews, E., Teariki-Ruatu, N., Tukia, S. and Yuknavage, K. 2006. Adapting to Pacific Island mangrove responses to sea level rise and other climate change effects. Climate Research 32(3): 161-176. Gilman, E, Zollett, E., Beverly, S., Nakano, H., Shiode, D., Davis, K., Dalzell, P. and Kinan, I. 2006. Reducing sea turtle bycatch in pelagic longline gear. Fish and Fisheries 7(1): 2-23. Gilman, E., Dalzell, P. and Martin, S. 2006. Fleet communication to abate fisheries bycatch. Marine Policy 30(4): 360-366. Gilman, E., Brothers, N., McPherson, G. and Dalzell, P. 2006. Review of cetacean interactions with longline gear. Journal of Cetacean Research and Management 8(2): 215-223. S·, R., Bexiga, C., Veiga, P., Vieira, L. and Erzini, K. 2006. Feeding ecology and trophic relationships of some fish species of the lower Guadiana river estuary and Castro Marim e Vila Real de Santo AntÛnio saltmarsh. Estuarine, Coastal and Shelf Science 70: 19-26. Sousa, P., Azevedo, M. and Gomes, M.C., 2006. Species-richness patterns in space, depth, and time (1989ñ1999) of the Portuguese fauna available to bottom trawl. Aquatic Living Resources 19(2): 93-103. Sousa, P., Azevedo, M. and Gomes, M.C., 2006. Searching for common diversity trends in the deep demersal assemblage off Portugal, 1989ñ1999: an essay with Dynamic Factor Analysis. INUAF STUDIA 9: 73-90. Veiga, P., Vieira, L., Bexiga, C., S·, R. and Erzini, K. 2006. Structure and temporal variations of fish assemblages of the Castro Marim salt marsh, southern Portugal. Estuarine, Coastal and Shelf Science 70: 27-38. Gilman, E., Brothers, N. and Kobayashi, D. 2005. Principles and approaches to abate seabird bycatch in longline fisheries. Fish and Fisheries 6(1): 35-49. Sousa, P., Azevedo, M. and Gomes, M.C., 2005. Demersal Assemblages off Portugal: mapping, seasonal, and temporal patterns. Fisheries Research 75: 120-137. Stobberup K.A., C.A.O. Inejih, S. TraorÈ, C. Monteiro, P. Amorim, K. Erzini. 2005. Analysis of size spectra in northwest Africa: a useful indicator in tropical areas? ICES Journal of Marine Science 62: 424-429. Gilman, E., Boggs, C. and Brothers, N. 2003. Performance assessment of an underwater setting chute to mitigate seabird bycatch in the Hawaii pelagic longline tuna fishery. Ocean and Coastal Management 46(11-12): 985-1010. Gilman, E. and H. Freifeld. 2003. Seabird mortality in North Pacific longline fisheries. Endangered Species Update 20(2): 35-46. S·, R., Bexiga, C., Vieira, L., Veiga, P. and Erzini, K. 2003. 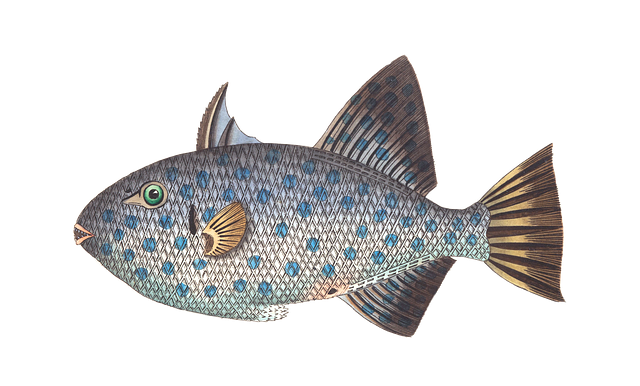 Diets of the sole Solea vulgaris Quensel, 1806 and Solea senegalensis Kaup, 1858 in the lower estuary of the Guadiana River (Algarve, southern Portugal): Preliminary results. BoletÌn del Instituto EspaÒol de OceanografÌa 19: 505-509. Tobias, C.R., Cieri, M.D., Peterson, B.J., Deegan, L.A., Vallino, J. and Hughes, J. 2003. Processing watershed-derived nitrogen in a well-flushed New England estuary. Limnology and Oceanography 48(5): 1766ñ1778. Bobrow, D.G. and Whalen, J. 2002. Community Knowledge Sharing in Practice: The Eureka Story. Reflections 4(2): 47-59. Gilman, E.L. 2002. Guidelines for coastal and marine site-planning and examples of planning and management intervention tools. Ocean and Coastal Management 45(6-7): 377-404. Whalen, J., Whalen, M., and Henderson, K. 2002. Improvisational Choreography in Teleservice Work. British Journal of Sociology 53: 239- 258. Cieri, M.D. and McCleave, J.D. 2001. Validation of daily otolith increments in juvenile glass eels (Anguilla rostrata). Journal of Experimental Marine Biology and Ecology. 257:219-227. Cousins, K., Dalzell, P. and Gilman, E. 2001 . Managing pelagic longline-albatross interactions in the North Pacific Ocean. Marine Ornithology 28(2): 159-174. Gilman, E.L. 2001. Integrated management approach to address incidental mortality of seabirds in longline fisheries. Aquatic Conservation: Marine and Freshwater Ecosystems 11(5): 391-414. Clayman, S.E. and Whalen, J. 1989. When The Medium Becomes The Message: The Case of the Rather-Bush Encounter. Research on Language and Social Interaction 22: 241-272. Cieri, M.D. and McCleave, J.D. 2000. Discrepancies between otoliths of larvae and juveniles of the American Eel (Anguilla rostrata): Is there something fishy happening at metamorphosis?. Journal of Fish Biology 57:1189-1198. Cieri, M.D. and Stearns, D.E. 1999. Reduction of grazing activity of two estuarine copepods in response to the chemical presence of a visual predator. Marine Ecology Progress Series 177:157-163. Cieri, M.D. and Stearns, D.E. 1994. The relationship between estuarine zooplankton gut fullness and degree of visual predation by fish. Bulletin of the New Jersey Academy of Natural Sciences 39: 33-34. Gilman, E.L. 1999. Choosing appropriate instruments from the wetlands management toolbox: A planning process for wetlands conservation. Wetland Journal 11(3):15-22. Gilman, E.L. 1998. Nationwide permit program: Unknown adverse impacts on the Commonwealth of the Northern Mariana Islandsí wetlands. Coastal Management 26(4):253-277. Gilman, E.L. 1997. Community-based and multiple purpose protected areas: A model to select and manage protected areas with lessons from the Pacific Islands. Coastal Management 25(1):59-91. Gilman, E.L. 1997. A method to investigate wetland mitigation banking for Saipan, Commonwealth of the Northern Mariana Islands. Ocean and Coastal Management 34(2):117-152. Goldman, M.S. and Whalen, J. 1990. From the New Left to the New Enlightenment: Methodological Implications of Public Attention on Private Lives. Qualitative Sociology 13:85-107. Whalen, J. and Zimmerman, D.H. 1998. Observations on the Display and Management of Emotion in Naturally Occurring Activities: The Case of ëHysteriaí in Calls to 9-1-1. Social Psychology Quarterly 61:141-159. Whalen, J., Zimmerman, D.H. and Whalen, M.R. 1988. When Words Fail: A Single Case Analysis. Social Problems 35: 335-362. Amorim P., A. M. Santos, K. A. Stobberup, P. B. Oliveira, A J. Sousa. 2005. Modelling tuna fishery in North Atlantic: Spatial structure of the catchability of Bluefin and Yellowfin tuna in relation to the environment: a geostatistical approach. In: GISPLANET 2005 Proceedings. 30 May ñ 2 June, Estoril-Portugal (CD-ROM ISBN 972-97367-5-8). Amorim P., S. ManÈ, K.A. Stobberup 2004. Structure of demersal fish assemblages based on trawl surveys in continental shelf and upper slope. In: Chavance (Pierre), Moctar B‰, Didier Gascuel, Jan Michael Vakily and Daniel Pauly (Eds. ), 2004. - PÍcheries maritimes, ÈcosystËmes & sociÈtÈs en Afrique de líOuest : Un demi-siËcle de changement [Marine fisheries, ecosystems and societies in West Africa: half a century of change]. Actes du symposium international, Dakar (SÈnÈgal), 24-28 juin 2002, Bruxelles, Office des publications officielles des CommunautÈs europÈennes, XXXVI-532-XIV p., 6 pl.h.-t.coul., I.S.B.N. 92-894-7480-7 (Coll. Rapports de Recherche Halieutique A.C.P.-U.E.,n∞ 15). Bexiga, C., Vieira, L., S·, R., Veiga, P. and Erzini, K. 2002. Ecological Associations of the Fish Species of the Guadiana River: Habitat Linkages. Proceedings of the Littoral 2002- VI International Conference, Porto, September 22-26 2002, vol. 3: 3 pp. Burns, P., Hogervorst, J., Heller, D., Portley, N., and Sundstrom, J., 2008, ìFrom Russia with salmon: a river restoration partnership.î Paper presented at the American Fisheries Society Western Chapter Annual Meeting, Portland, OR. Gilman, E., Dalzell, P., Ishizaki, A., Crowder, L., Warner, R. 2011. Executive Summary. Proceedings of the Fifth International Fishers Forum on Marine Spatial Planning and Bycatch Mitigation,pp. 9-11. In: Gilman, E., Ishizaki, A., Chang, D., Liu, W., Dalzell, P. (Eds.). Proceedings of the Fifth International Fishers Forum on Marine Spatial Planning and Bycatch Mitigation. Western Pacific Regional Fishery Management Council and Fisheries Agency Taiwan, Honolulu, USA, and Taipei, Taiwan. Gilman, E., Ellison, J. 2010. Relative Sea-level Rise Tipping Points for Coastal Ecosystems, pp. 100-110. In: Leadley, P., Pereira, H., Alkemade, R., Fernandez-Manjarres, J., Proenca, V., Scharlemann, J., Walpole, M. (Eds.). Biodiversity Scenarios: Projections of 21st Century Change in Biodiversity and Associated Ecosystem Services. A Technical Report for the Global Biodiversity Outlook 3. CBD Technical Series No. 50. Convention on Biological Diversity Secretariat, Montreal. Gilman, E., Lundin, C. 2010. Minimizing Bycatch of Sensitive Species Groups in Marine Capture Fisheries: Lessons from Commercial Tuna Fisheries, pp. 150-164. In: Grafton, Q., Hillborn, R., Squires, D., Tait, M., Williams, M. (Eds.). Handbook of Marine Fisheries Conservation and Management. Oxford University Press. Gilman, E., Ellison, J., Duke, N., Field, C. 2009. Mangroves and climate change. In: World Atlas of Mangroves. Earthscan. Gilman, E., Gearhart, J., Price, B., Eckert, S., Milliken, H., Wang, J., Swimmer, Y., Shiode, D., Abe, O., Peckham, S.H., Chaloupka, M., Hall, M., Mangel, J., Alfaro-Shigueto, J., Dalzell, P., Ishizaki, A. 2009. Mitigating Sea Turtle Bycatch in Coastal Passive Net Fisheries. International Union for the Conservation of Nature, Gland, Switzerland. Gilman, E. 2008. 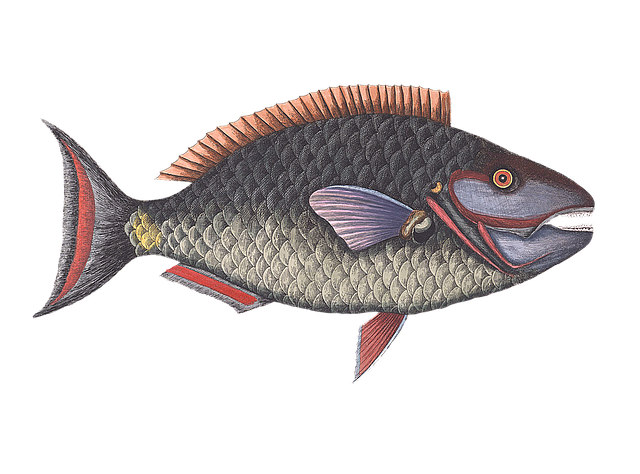 Conservation and Management of Tunas: Reaching New Heights or Sinking to New Depths, pp. 76-87. In: Adrift: Tales of Ocean Fragility. IUCN, Gland, Switzerland. Gilman, EL, S. Martin, J. Cook. 2007. Working with Hawaii longline fishers to abate fisheries bycatch, pp. 261-271. In: Kennelly, S.J. (Ed.). By-Catch Reduction in the Worldís Fisheries. Springer Verlag, The Netherlands. Gilman, EL. 2007. USA Western and Central Pacific Ocean. In: DeYoung, C. (Ed.). State of World Marine Capture Fisheries Management - 2006: Pacific Ocean. FAO Fisheries Technical Paper 488/1. Food and Agriculture Organization of the United Nations, Rome. Moore, Bob, Jack Whalen and Cabell Hankinson Gathman. 2009. Work Orders, Document Practices, and Organizational Action. In: Organization, Interaction and Practice: Studies of Real Time Work and Organizing. Nick Llewellyn and Jon Hindmarsh (Eds.). Cambridge: Cambridge University Press. Morgan, A. and Burgess, G. 2005. Fishery dependent sampling: total catch, effort and catch composition, pp. 182-200. In: Musick, J.A. and R. Bonfil (eds. ), Elasmobranch Fisheries Management Techniques, APEC Fisheries Working Group, Singapore. Portley, N., and Miewald, T., 2009. ìThe North American Salmon Stronghold Strategy: a database for watershed prioritizationî (translated from Russian). Paper presented at the Conference on the Creation of Fisheries Protected Areas in the Russian Far East, Moscow, Russia, Institute for Problems of Ecology and Evolution, Russian Academy of Sciences. S·, R., Bexiga, C., Vieira, L., Veiga, P. and Erzini, K. 2002. Diet Diversity of the Main Species of the Lower Estuary of the Guadiana and the Salt Marsh of Castro Marim (Algarve, Southern Portugal). Proceedings of the Littoral 2002- VI International Conference, Porto, 22-26 September 2002, vol. 3: 3 pp. Safina, C., E. Gilman, J. Nichols. 2005. Twine and the ancient mariners: albatrosses, sea turtles, and fishing gear in the North Pacific and elsewhere. In: Guynup, S. (Ed.) The State of the Wild. Island Press. Samarskiy, V., Kaev, A., Semenchenko, A., Portley, N., and Reeves, G., 2008, ìDevelopment of an integrated salmonid population and habitat study model on Sakhalin Island, Russia, for the detection of population status and trends.î Paper presented at the American Fisheries Society Annual Meeting, Ottawa, ON. Swimmer, Y., and Gilman, E. (Eds.). 2012. Report of the Sea Turtle Longline Fishery Post-release Mortality Workshop, November 15-16, 2011. NOAA Technical Memorandum NMFS-PIFSC-34. National Marine Fisheries Service, Pacific Islands Fisheries Science Center, Honolulu. Swimmer, Y., Gilman, E. 2006. Fishing technology gears up for sea turtle conservation, p. 24. In: Mast, R, Bailey, L., Hutchinson, B. (Eds). The State of the Worldís Sea Turtles SWOT Report Volume 1. Burning Issues in Conservation. Leatherback Sea Turtles of the World. State of the Worldís Sea Turtles, Washington, D.C., USA. Szymanski, Margaret and Jack Whalen, (Eds.) 2011. Making Work Visible: Ethnographically Grounded Case Studies of Work Practice. Cambridge: Cambridge University Press. Szymanski, Margaret and Jack Whalen. 2011. Work Practice Analysis at Xerox. In: Making Work Visible: Ethnographically Grounded Case Studies of Work Practice. Margaret Szymanski and Jack Whalen (Eds.). Cambridge: Cambridge University Press. Vieira, L., Bexiga, C., S·, R. Veiga, P. and Erzini, K. 2002. Abundance and Diversity of the Fish Fauna of the Guadiana River Estuary and the Castro Marim Salt Marsh (SE Portugal). Proceedings of the Littoral 2002- VI International Conference, Porto. 22-26 September 2002, vol. 3: 5 pp. Vinkhuyzen, Erik and Jack Whalen. 2007. Expert System Technology and Work Practice. In: Orders of Ordinary Action. In: Stephen Hester and David Francis (Eds.). Aldershot, Hampshire: Ashgate Publishing. Vinkhuyzen, Erik, Margaret Szymanski, Robert J. Moore, Geoffrey Raymond, Jack Whalen, and Marilyn Whalen. 2005. ëWould you like to do it yourself?í Service Requests and Their Non-Granting Responses. In: Paul Seedhouse and Keith Richards (Eds.). Applying Conversation Analysis. New York: Macmillan. Whalen, Jack and Daniel Bobrow. 2011. Sharing Communal Knowledge: The Eureka Story. In: Margaret Szymanski and Jack Whalen (Eds.). Making Work Visible: Ethnographically Grounded Case Studies of Work Practice.. Cambridge: Cambridge University Press. Whalen, Jack and Marilyn Whalen. 2011. Integrated Customer Service: Reinventing a Workscape. In: Margaret Szymanski and Jack Whalen (Eds.). Making Work Visible: Ethnographically Grounded Case Studies of Work Practice. Cambridge: Cambridge University Press. Whalen, Marilyn, Jack Whalen, Robert Moore, Geoff Raymond, Margaret Szymanski, and Erik Vinkhuyzen. 2005. Studying Workscapes. In: Philip LeVine and Ron Scollon (Eds.). Discourse and Technology: Multimodal Discourse Analysis. Washington, DC: Georgetown University Press. Whalen, Jack and Don H. Zimmerman. 2005. Working A Call: Multiparty Management and Interactional Infrastructure in Calls For Help. In: Carolyn D. Baker, Michael Emmison and Alan Firth (Eds.). Calling for Help. Philadelphia: John Benjamins. Wu, Yiying and Whalen, J. 2013. Design practices of local users and the community: The case of Ugandan street vendors. International Congress of International Association of Societies of Design Research. Tokyo. Wu, Yiying and Whalen, J. 2013. Portraits of Chinese shanzhai users. Annual meeting of the American Sociological Association. New York. Yamauchi, Yutaka, Jack Whalen, and Daniel G. Bobrow. 2003. Information Use of Service Technicians in Difficult Cases. In: Proceedings of the ACM. CHI 2003: Human Factors in Computing Systems. ACM Press. Gilman, E.L. 1999. Chapter 1. Compensatory wetland mitigation in the CNMI: An incipient discipline. In: W. Streever (Ed.). An International Perspective on Wetland Rehabilitation. Kluwer Academic Publishers, New York, USA. pp. 3-17. Whalen, Jack and Geoff Raymond. 2000. Conversation Analysis. In: Edgar F. Borgatta and Marie L. Borgatta (Eds.). The Encyclopedia of Sociology, 2nd Edition. New York: Macmillan. Whalen, Jack and Erik Vinkhuyzen. 2000. Expert Systems in (Inter)action: Diagnosing Document Machine Problems Over the Telephone. In: Paul Luff, Jon Hindmarsh and Christian Heath (Eds.). Workplace Studies: Recovering Work Practice and Informing Systems Design. Cambridge: Cambridge University Press. Whalen, Jack. 1995. Expert Systems versus Systems for Experts. In: Peter Thomas (Ed.). Social and Interactional Dimensions of Human-Computer Interfaces. Cambridge: Cambridge University Press. Whalen, Jack. 1995. A Technology of Order Production: Computer-Aided Dispatch in 9-1-1 Communications. In: George Psathas and Paul ten Have (Eds.). Situated Order: Studies in the Social Organization of Talk and Embodied Activities. Washington, D.C.: University Press of America. Whalen, Jack. 1992. Conversation Analysis. In: Edgar F. Borgatta and Marie L. Borgatta (Eds.). The Encyclopedia of Sociology. New York: Macmillan. Whalen, Jack and Richard Flacks. 1989. Beyond The Barricades: The Sixties Generation Grows Up. Philadelphia: Temple University Press. Amorim P., G. Duarte, M. Guerra, T. Morato and K.A. Stobberup, 2004. Preliminary Ecopath model of Guinea Bissau continental shelf ecosystem (NW-Africa). In: West African Marine Ecosystems: Models and Fisheries Impacts. M. L. Palomares and D. Pauly (Eds.). Fisheries Center Research Reports 12(7): 95-112. Azevedo, M., Duarte, R., Cardador, F., FariÒa, C., Sampedro, P., Landa, J., Costas, G., Sousa, P., 2007. Management advice for the Iberian white anglerfish stock based on combined estimates from Bayesian and non-Bayesian assessments. ICES CM2007/K:01, Theme Session Monkfish across the world: common problems and common solutions. 14 pp. Burgess, G. and Morgan, A. 2008. The capture depth, time, and hooked survival rate for bottom longline caught large coastal sharks: Year 2 continuation. Semi-annual Report, U.S. National Marine Fisheries Service, Cooperative Research Program, 5 pp. Burgess, G. and Morgan, A. 2008. The capture depth, time, and hooked survival rate for bottom longline caught large coastal sharks: Year 2 continuation. Semi-annual Report, U.S. National Marine Fisheries Service, Cooperative Research Program, 10 pp. Burgess, G. and Morgan, A. 2008. The capture depth, time, and hooked survival rate for bottom longline caught large coastal sharks: Year 2. Final Report, U.S. National Marine Fisheries Service, Cooperative Research Program, 18 pp. Burgess, G. and Morgan, A. 2007. The capture depth, time, and hooked survival rate for bottom longline caught large coastal sharks. Semi-annual Report, U.S. National Marine Fisheries Service, Cooperative Research Program, 12 pp. Burgess, G. and Morgan, A. 2007. The capture depth, time, and hooked survival rate for bottom longline caught large coastal sharks. Final Report, U.S. National Marine Fisheries Service, Cooperative Research Program, 23 pp. Burgess, G. and Morgan, A. 2007. The capture depth, time, and hooked survival rate for bottom longline caught large coastal sharks: Year 2 continuation. Semi-annual Report, U.S. National Marine Fisheries Service, Cooperative Research Program, 12 pp. Burgess, G. and Morgan, A. 2007. The capture depth, time, and hooked survival rate for bottom longline caught large coastal sharks: Year 2 continuation. Semi-annual Report, U.S. National Marine Fisheries Service, Cooperative Research Program, 10 pp. Burgess, G. and Morgan, A. 2006. The capture depth, time, and hooked survival rate for bottom longline caught large coastal sharks. Semi-annual Report, U.S. National Marine Fisheries Service, Cooperative Research Program, 21 pp. Burgess, G. and Morgan, A. 2006. The capture depth, time, and hooked survival rate for bottom longline caught large coastal sharks. Semi-annual Report, U.S. National Marine Fisheries Service, Cooperative Research Program, 11 pp. Burgess, G. and Morgan, A. 2005. The Commercial Shark Fishery Observer Program history: collection methodology and summary statistics 1994-2005(1). National Marine Fisheries Service Shark SEDAR Data Workshop Document LCS05/06-DW-10, 32 pp. Burgess, G. and Morgan, A. 2005. Commercial Shark Fishery Observer Program. Monitoring the directed bottom longline shark fishery in the Atlantic Ocean and Gulf of Mexico off the mid- and southeastern United States, 2005 fishing season 1. Final Report, U.S. National Marine Fisheries Service, Highly Migratory Species Management Division Award NFFKF000-4-00009, 15 pp. Burgess, G. and Morgan, A. 2005. Commercial Shark Fishery Observer Program. Continuation of monitoring the directed bottom longline shark fishery in the Atlantic Ocean and Gulf of Mexico of the mid- and southern United States. Final Report, U.S. National Marine Fisheries Service, Highly Migratory Species Management Division Award NA03NMF4540075, 15 pp. Burgess, G. and Morgan, A. 2004. Commercial Shark Fishery Observer Program. Support for an Observer Program Monitoring the Directed Commercial Shark Fishery in the Atlantic Ocean and Gulf of Mexico off the Mid- and Southeastern United States. Semiannual Report, U.S. National Marine Fisheries Service, Highly Migratory Species Management Division Award NA03NMF4540075, 2 pp. Burgess, G. and Morgan, A. 2003. Commercial Shark Fishery Observer Program. Renewal of an observer program to monitor the directed commercial shark fishery in the Gulf of Mexico and South Atlantic Semiannual Report: 2003(2) fishing season. Semiannual Report, U.S. National Marine Fisheries Service, Highly Migratory Species Management Division Award NA03NMF4540075, 11 pp. Burgess, G. and Morgan, A. 2003. Commercial Shark Fishery Observer Program. Renewal of an observer program to monitor the directed commercial shark fishery in the Gulf of Mexico and South Atlantic: 2002(2) and 2003(1) fishing season. Final Report, U.S. National Marine Fisheries Service, Highly Migratory Species Management Division Award NA16FM1598, 15 pp. Burgess, G. and Morgan, A. 2002. Commercial Shark Fishery Observer Program. Renewal of an observer program to monitor the directed commercial shark fishery in the Gulf of Mexico and South Atlantic: 1999 fishing seasons. Final Report, U.S. National Marine Fisheries Service, Highly Migratory Species Management Division Award NA97FF0041, 36 pp. Carlson, J., Hale, L., Morgan, A. and Burgess, G. 2010. Standardized catch rates of sandbar, dusky and blacknose sharks from the commercial shark fishery longline observer program, 1994-2009. SEDAR21-DW-01. 37 pp. Cieri, M., Nelson, G. and Armstrong, M.A. 2008. Estimates of river herring bycatch in the directed Atlantic herring fishery. Massachusetts Department of Marine Fisheries. Gloucester. Cortes, E., Morgan, A. and Burgess, G. 2005. Standardized catch rates of large coastal sharks from the Commercial Shark Fishery Observer Program 1994-2004. National Marine Fisheries Service Shark SEDAR Data Workshop Document LCS05/06-DW-17, 14 pp. Friedland K.D., OíReilly, J.E., Hare, J.A., Wood, G.B., Overholtz, W.J. and Cieri, M.D. 2006. Environmental Preferences of Atlantic Herring under Changing Harvest Regimes Northeast Fisheries Science Center Reference Document. 06-18. Northeast Fisheries Science Center Woods Hole, Massachusetts. Hendrich, C. F., J. L. Weller, S. A. McPherson, D. R. Bernard. 2008. Optimal production of Chinook salmon from the Unuk River. Alaska Department of Fish and Game, Fishery Manuscript No. 08-03, Anchorage. McKown K., Correia, S. and Cieri, M. 2008. Development and Use of Reference Points. Atlantic States Marine Fisheries Commission, Washington DC. Morgan, A. 2011. Fish aggregating devices (FADs) and tuna: Impacts and management options. Ocean Science Division, Pew Environment Group, Washington, DC. Overholtz, W.J., Jacobson, L.D., Melvin, G.D., Cieri, M.D., Power, M., Libby, D. and Clark, K. 2004. Stock assessment of the Gulf of Maine - Georges Bank Atlantic herring complex. Northeast Fisheries Science Center Reference Document 04-06 Northeast Fisheries Science Center Woods Hole, Massachusetts. Palma, C., Sousa, P., Ramos, J., Martinho, T., Martins, R., Pestana, G., Barros, P. and Afonso-Dias, M., 1999. Multivariate Analysis of the Southern Portuguese Artisanal Fishery: Trip Types and Fishing Effort. ICES CM 1999/R:16. Portley, N., and Geiger, H., 2013. Stock Management Units and Limit Reference Points in Salmon Fisheries: Best Practice Review and Recommendations to MSC. Marine Stewardship Council Science Series. Manuscript pending publication. Portley, N. 2010. Investment in Sustainable Salmon Fishery Development in the Russian Far East: A Feasibility Study for the European Bank of Reconstruction and Development. Sustainable Fisheries Partnership Foundation and Wild Salmon Center. Unpublished. Shepherd, G., Cieri, M., Power, M. and Overholtz, W. 2009. Gulf of Maine/Georges Bank Atlantic Herring Stock Assessment Update. Transboundary Resources Assessment Committee. Reference Document 2009/04. Silva A., I. Afonso-Dias, P. Amorim, C. Nunes, E. Soares, 2003. Microscopic calibration of sardine maturity scale. Working Document to the 2003 meeting of the SGSBSA, 23 a 27 Junho, Malaga. Sulikowski, J., Morgan, A., Carlson, A. and Butterworth, D. 2012. Inferences from aerial surveys on the abundance of Atlantic menhaden from outside the normal fishery range: implications for improved management of this resource. Atlantic States Marine Fisheries Commission, June 25, 2012. Wild Salmon Center. 2006. Sakhalin Salmon Initiative: A Framework (translated from Russian). Published without authorship indicated. Wild Salmon Center, Portland, OR. Cieri, M.D. 1999. Migrations, Growth, And Early Life History of the American Eel (Anguilla rostrata). PhD Dissertation. School Of Marine Sciences (Department of Oceanography). University of Maine, Orono, ME. Cieri, M.D. 1996. Reduction in grazing activity by two estuarine copepods in response to the chemical presence of a visual predator. MSc dissertation. Department of Biology, Rutgers the State University of New Jersey, Camden, NJ. Morgan, A. 2008. Effects of temporal closures and gear modifications on the population of dusky sharks in the northwestern Atlantic Ocean. PhD dissertation. University of Florida. Morgan, A. 2000. Analysis of shark fisheries and management in the US Atlantic Ocean with recommendations for changes to current management plans. MSc dissertation. Nova Southeastern University. Sousa, P. 2006. The demersal community off Portugal: a study on zoogeography, abundance, and biodiversity. PhD dissertation in Population Biology. Faculty of Sciences of the University of Lisbon, Portugal, 196 pp. Sousa, P. 1998. Application of hierarchical classification multivariate methods on identifying fishing fleet components. MSc dissertation in Mathematics Applied to Biological Sciences. Technical University of Lisbon, Portugal, 61 pp. Sousa, P. 1995. Length-frequency analysis of deep-water rose shrimp (Parapenaeus longirostris Lucas, 1846). Honours degree ("Licenciatura") dissertation in Marine Biology and Fisheries. University of Algarve, Faro. 54 pp. Veiga, P. 2013. Recreational shore fishing in southern Portugal: biological and socio-economic aspects and perspectives for management. PhD dissertation in Fisheries Sciences and Technology. University of Algarve, Faro. 147 pp.